Kim and Kyaw decide to get elope on middle of pineapple fields. Surrounded by nature and this majestic mountain. How will be your destination weddings? Tell us your story and your dream ! We always begin our organization by learning you all kind of stuffs about you. 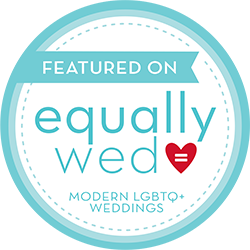 We’ll chat with you, by email about your relationship, and your wish for that dream elopement or honeymoon. 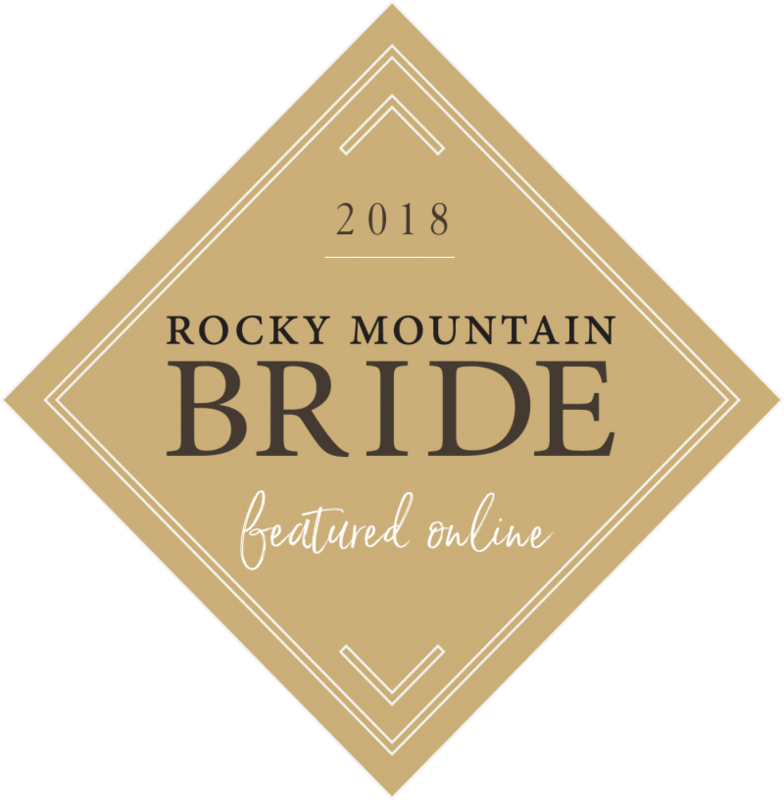 Tell us any ideas you have, so we can get to know you better, and help you craft a vision for what your dream elopement day could look like ! All we need is to choose your event date with you and know about the general area. Don’t worry if you don’t have an exact spot picked out yet, we’ll give you all the guidance and resources you need. We used to live in 5 different countries and islands over 4 continents. Not just visiting but living for years. We have the experience of all kind of weathers, landscapes and cultures. 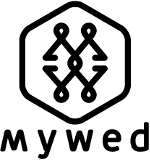 You will find with our expertise of destination and also the expertise in travelling. Thanks to our exchange with you, we will get to know you & help you dream up and plan your day. 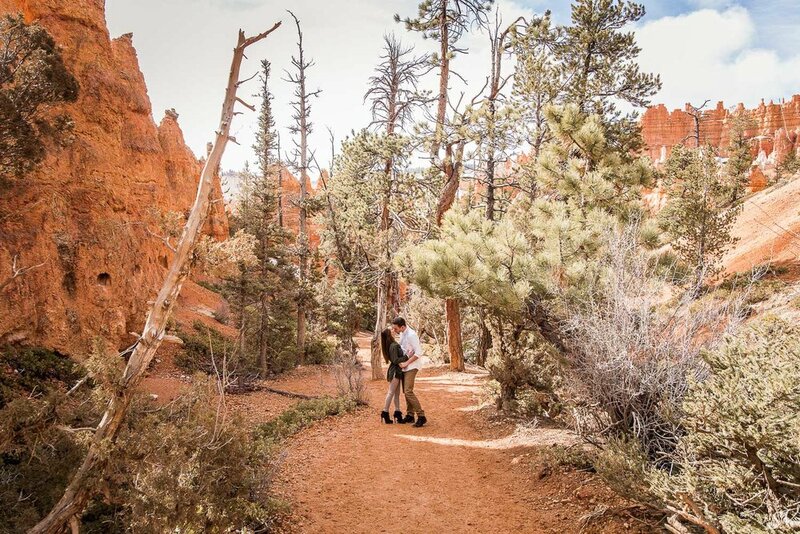 We’ll create a customized list of epic location ideas to your elopement. You just need to pick your favourite country or island, book your travel & vendors, (you could suggest vendors and accommodations on several destinations) and find some clothes to wear! It's not just your wedding day but a fantastic and epic adventure you will remember forever and you will live again thanks to photos! That’s why we love to also propose it for a honeymoon as it’s such a special trip together. We will be your Best adventure buddies! And after that, well we will work on your photos to add a bit of magic and send you your photos after 2 months max! A sneak peeks will be sent to make your friends and family jealous, just 10 days after your elopement! Contact us for a personalized quote with an idea of the location to create a personalized quote. Note: we are lucky enough to know a lot of destinations and to be really curious :) We are happy to help you to pick up one depending on your personality so if you haven’t any idea. It's happening more than you think, just ask us! Thank you so much for that day ! It was just amazing ! This so in love couple choose to get elope only together on the mythic island of Bora Bora. Leaving her overwater bungalow on a Polynesian canoe, the bride is coming to her husband on a the private islet with view on coconut trees and turquoise lagoon. 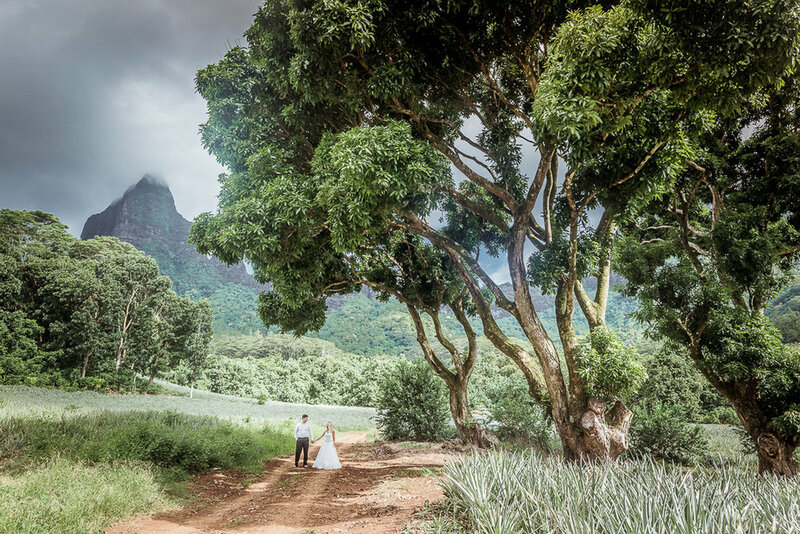 Have a look on this Polynesian elopement and discover the majestic mountin of Bora. Samuel and Virginie are extremely talented photographers and they not only take amazing photographs but they go above and beyond to make sure that your wedding day is perfect. I stayed in touch with SV Photograph for almost 2 years before my fiancé and I finally met Samuel and Virginie in Mo’orea for our elopement. As soon as I saw their photos, I was certain that they were the only photographers that I wanted to use on our wedding day. From picking out the most beautiful location, ordering my bouquet, to arranging my hair and makeup, Samuel and Virginie did it all. They are more than just photographers! They organized and planned our day and found the most amazing locations for our shoot. I felt so at ease that day because of them. 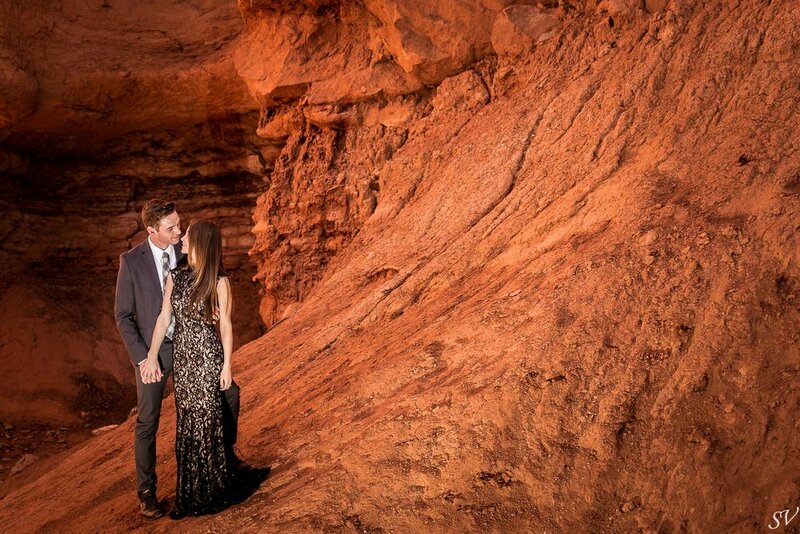 When my husband and I saw our gallery of photos, we were blown away! We couldn’t believe how well Samuel and Virginie captured our expressions in these small special moments throughout the day. When we look at the photos, they instantly bring us back to that day and how we were feeling. 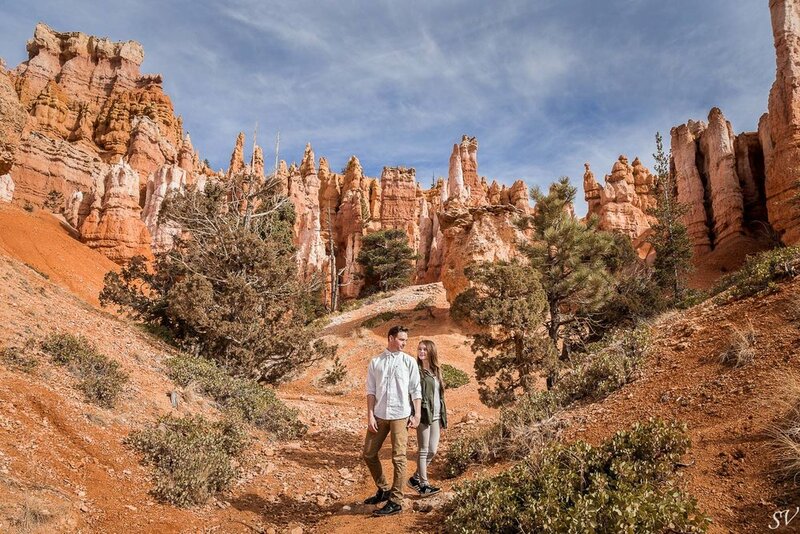 I think my favorite part about the pictures is they are very “us.” They truly captured who my husband and I are as a couple and integrated our love for travel. Our wedding pictures look nothing like anyone of our friend’s wedding photos and we love that. No need to live there to plan an elopement in our island. Let’s chat but first have a look on Vancouver Island. Where we leave in Moorea and Bora Bora for four years! We still go there and plan amazing elopement thanks to our crew Wedding Polynesia who organize amazing Polynesian ceremony. Think out of the box, no need to be shy and to be limited by our list, tell us where you want to go and we will work to propose you the best experience ever.